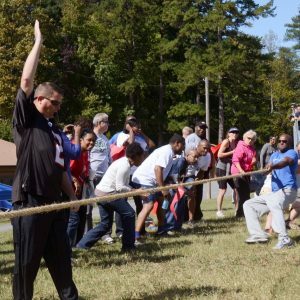 Team building events are a wonderful way of bringing employees together, giving them new experiences and helping them forge strong bonds that will pay off when tackling projects in the office. 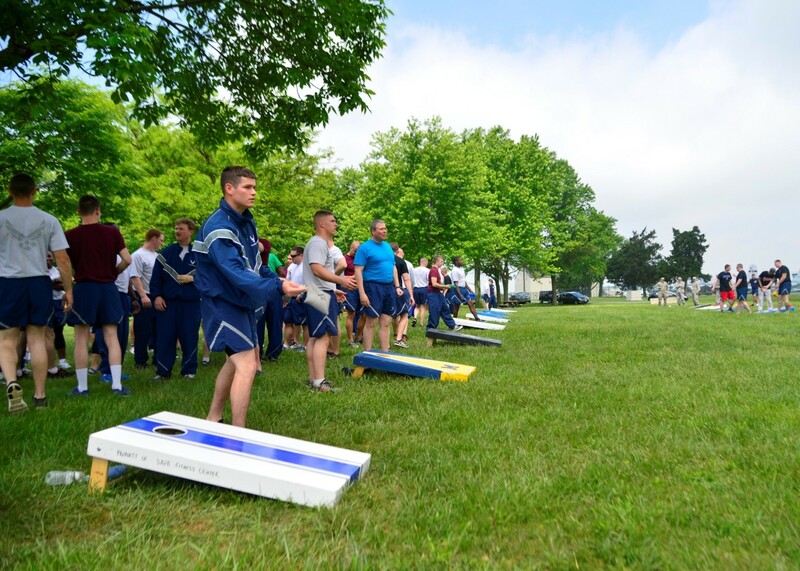 These events can also reduce anxiety, give employees a break and enable them to have fun while learning some essential skills. There is a variety of different ways to do this with all of them having their own merit. From drinking alcohol to trampolining this article covers a comprehensive range of team building ideas. People may have played basketball before, but probably not on a trampoline. Take the team to a trampoline park, let them bounce out their stress, and then add in some healthy competition. A common aversion to getting soaked could be the impetus behind employees getting good at kayaking or canoeing. By putting people together with very different personalities or styles of working, they will have to thrash out a way of moving forward together to avoid getting a soaking. Locking people in a room and giving them an hour to escape can inspire new levels of cooperation, as it involves logic, strategy, leadership, and teamwork to make it happen. This has become a very popular exercise for team building, and while “locked” in the room, the participants must solve puzzles and find clues to help them escape. Another enjoyable game is to put everyone in groups and send them out on a scavenger hunt, with lots of interesting challenges, fun activities and even prizes. This could be followed by a barbecue or a relaxing meal. Possibly the simplest method of team building for employees but by no means an ineffective one. Sociable drinking is often regarded as enjoyable and can help to establish common interests between employees. This can be as simple as going to the pub after work but private parties can be organised if you intend to pull out all the stops. Going drinking however means you will not be able to drive but if you’re looking for a good corporate day/ night then why not use a Cheltenham Party Bus Hire service. If you are looking for a company to provide this service, look no further than websites such as https://cocktail-tours.co.uk/. When it comes to activities people have never tried, a tank driving day would fit the bill, challenging the team and giving them an experience, they will be talking about for some time. Tanks were first used in battle during the First World War, and for more history, see this article from The Guardian. If you want to find out more about the benefits of a tank driving day for your employees, it would be a good idea to speak to experts. Team building has many benefits for helping employees feel valued and appreciated, while building a company culture of trust and respect that will flow into corporate productivity. 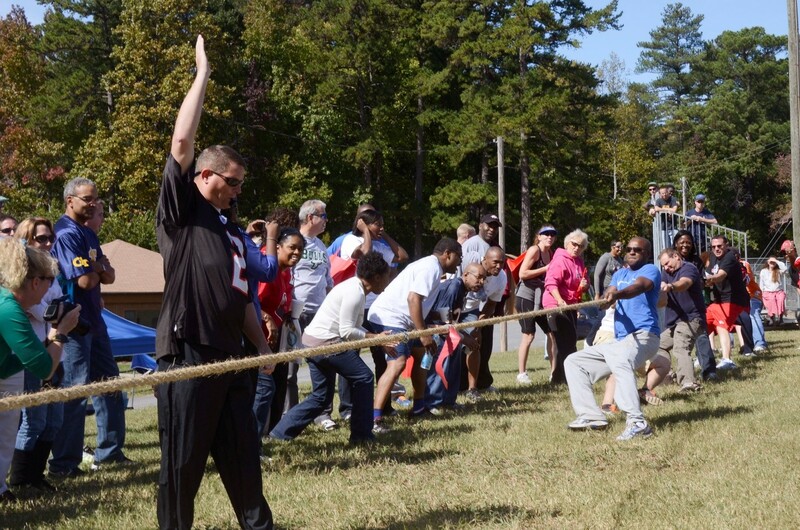 Planning a team building experience is not difficult, especially if you consult professionals. The results could make all the difference to your bottom line.